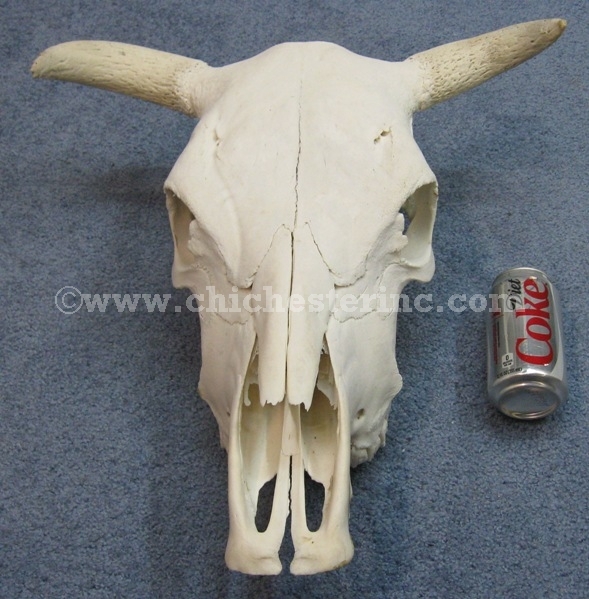 Left: Steer Skull with Horns. See a size comparison with a soda can. 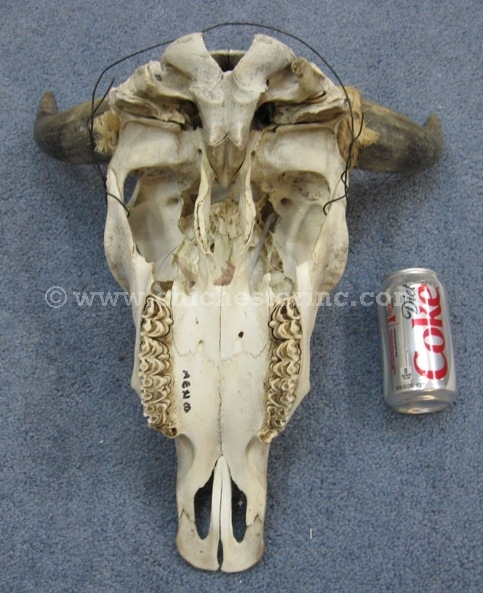 Right: Steer Skull with Cores/No Horns. See a size comparison with a soda can. 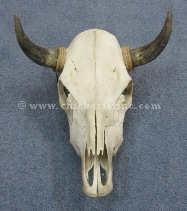 The steer skulls have been cleaned. Our Gxx codes denote individual skulls. 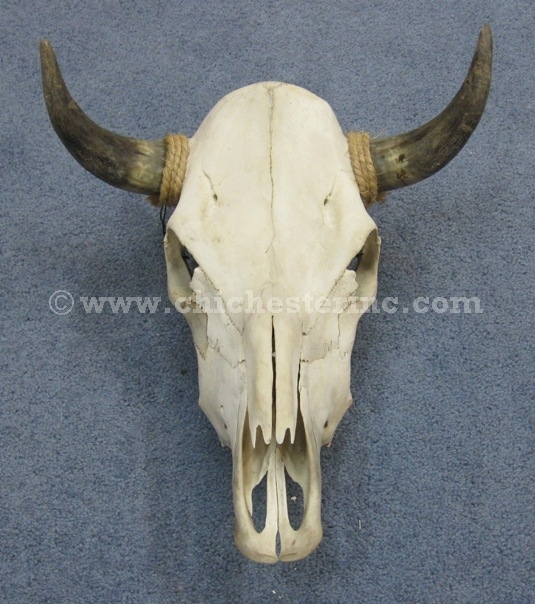 If you would like to order a specific one, please go to our Gallery of Steer Skulls to pick the exact one shown. 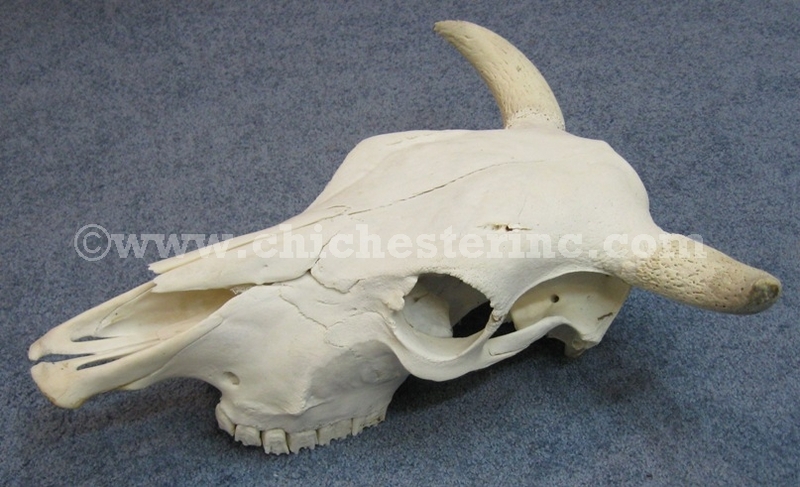 We cannot ship steer skulls to Canada because of concerns over BSE (Bovine Spongiform Encephalopathy).